Over 250 guests attended the Hospital’s 8th annual Red Stocking Soirée on Thursday, November 29th demonstrating their support for patients in need in our community. This “Taste of Brooklyn” fundraiser was packed with signature dishes and beverages from Park Slope's best restaurants. Celebrity chef judges—Chris Scott, Top Chef Finalist and Founder of Butterfunk Kitchen, and Dave Portnoy, Founder of Barstool Sports and Host of One Bite Pizza Reviews—presented the Chef's Choice Award to Da Nonna Rosa for their homemade meatballs. The People's Choice Award for favorite station went to Benchmark for their short rib dish. We'd like to express our appreciation to our Underwriters and Benefactors for their generosity! We’d also like to thank our participating restaurants and beverage sponsors: Baba's Pierogies, Bella Gioia, Benchmark, Buttermilk Bakeshop, Crabbie's Original Ginger Beer, Da Nonna Rosa, Dinosaur Bar-B-Que, L'Albero dei Gelati, Loki, Maya Taqueria, Miriam, NYP Brooklyn Methodist Hospital's Executive Chef Sean Whalen, Palo Santo, Saiko, SixPoint Brewery, Table 87, and Wild Park Slope! 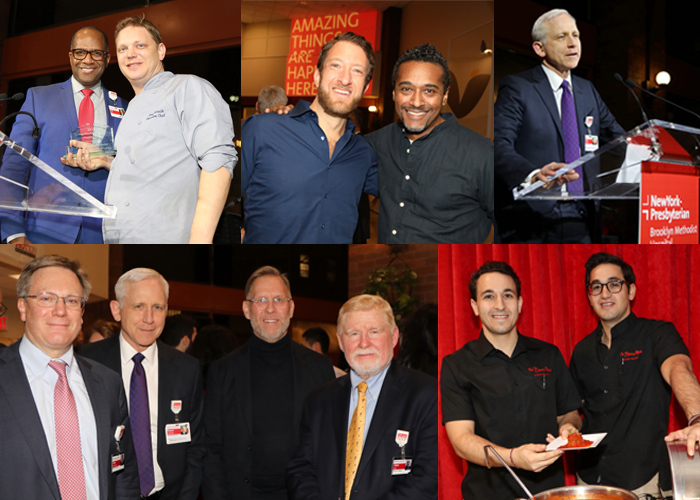 If you were unable to attend the Red Stocking Soirée and wish to make a contribution to support patients in need, please visit nyp.org/brooklyn/donate and select the Red Stocking Campaign.